If you are in the market for a sleek, stylish, and totally reliable vehicle that will provide you with years of exceptional service, check out the 2016 Honda Accord at Brandon Honda. 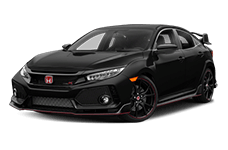 Our Honda dealership in Tampa, FL caters to drivers from the grater Tampa and Tampa Bay areas and we are eager to show you the phenomenal 2016 Accord. The Accord seats five and offers ample trunk space for cargo and luggage. For 2016 you will be delighted with the Honda Accord's numerous upgrades; it's been given a lot of new style and wears a fresh new face for the new model year. If you are ready for a fantastic new car, then head over to Brandon Honda, your Tampa Honda dealership, for a peek (and a test drive) in the superb 2016 Honda Accord. The 2016 Honda Accord is once again pitted against its rival, the Toyota Camry, in a battle of giants. Let's see how these two cars hash it out, but we will say, you money is on the Accord for the win! 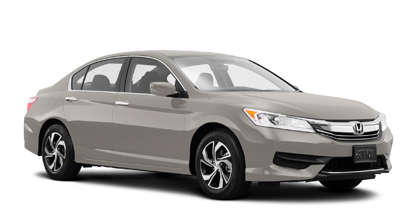 The Honda Accord is a great choice for many drivers because it offers an affordable price that can easily fit into most budgets; the 2016 Accord Sedan starts at an MSRP pf $22,205*. The Toyota Camry, on the other hand, starts at an MSRP of $23,070. For savings right out the gate, it looks like the Honda Accord has the upper hand. The super stylish Honda Accord has always been very close to the top of the lists of many car shoppers, especially those looking for reliable performance with a healthy dose of style and flair. The 2016 Honda Accord is offered in two sleek styles, as it has been for many decades. You can find the 2016 Accord as both a spacious four-door sedan or as a sporty (and still spacious) two-door coupe. The Toyota Camry is only offered as a four-door sedan, so if you are looking for something sporty and eye-catching, your best bet is the Honda Accord. Thanks to major advances in engines and transmissions throughout the years, both the 2016 Honda Accord and the Toyota Camry are able to offers excellent fuel economy. However, the 2016 Honda Accord has the upper hand when it comes to sipping gasoline. When properly equipped with the standard four-cylinder engine and CVT gearbox, the Honda Accord can return 27 city mpg and 37 highway mpg**. 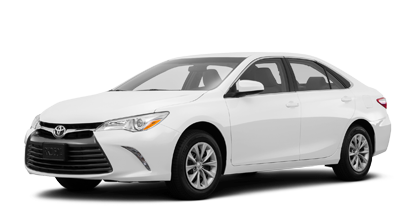 The comparable Toyota Camry can only manage 25 city mpg and 35 highway mpg. Both vehicles run on regular unleaded gasoline, and both have 17-gallon fuel tanks, the Accord can hold .2 more gallons than the Camry as well. If you want to pass gas stations, the 2016 Honda Accord will help you do just that – and look great all the while! Both the Honda Accord and the Toyota Camry offer seating for five, but no matter how many people you plan on bringing with you, if there's not enough space for all of them, you are going to have some problems. The Honda Accord boasts 103.2 cubic-feet in total passenger volume, while the Camry will have you feeling a little cramped in just 102.7 cubic-feet. Headroom in the Accord is better, you get 39.1" up front and 37.5" in the rear seats; the Toyota Camry gives you 38.8" of headroom up front. Legroom up front in the Accord is better, too, you get 42.5" for your gams in the Honda and just 41.6" in the Camry's front seats. If you are stuck in the car for a long drive, you will find yourself feeling pretty cramped if you choose the Toyota Camry. Another important measurement is the trunk; and you will find that the Honda Accord wins again in that category. The Accord provides you with 15.8 cubic feet of space in the trunk while the Camry leaves you hanging with 15.4 cubic feet. It might not seem like a lot, but think about it again when you are forced to leave something behind and you will be wishing for that extra .4 cubic feet in the Accord. Well there you have it; the 2016 Honda Accord comes out on top against the Toyota Camry. 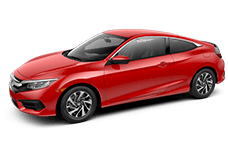 Now that you know the facts, come down to Brandon Honda in Tampa to check out our inventory of new Honda Accord sedans and coupes. **23 city/34 highway/27 combined mpg rating for 6MT models. 27 city/37 highway/31 combined mpg rating for CVT models. 26 city/35 highway/30 combined mpg rating for Sport CVT models. 21 city/34 highway/26 combined mpg rating for V-6 models. Based on 2016 EPA mileage ratings. Use for comparison purposes only. Your mileage will vary depending on how you drive and maintain your vehicle, driving conditions and other factors.